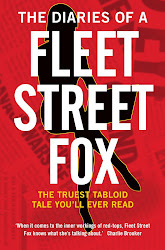 fleet street fox: Money can't buy clarse. IF THERE'S one thing to admire about the aristocracy, it's their sheer lack of any kind of brainpower. That's why Prince Philip's forever putting his foot in it, why we all had a soft spot for bumbling George in Blackadder, and why Dishface is Prime Minister despite having the wide, flat, rich man's arse which signifies centuries of breeding by people who did a lot of sitting down. It's probably why he uses it to think with too. (I know, he runs a lot. But trust me, if you ever see him from behind, it looks like a tired Chesterfield sofa). Every posho in Britain is just very, very silly. Brian Sewell. Tara Palmer-Tomkinson. And there is no-one sillier than Downton Abbey creator Julian Fellowes. Leaving aside the predictability of his above and below stairs plotlines - oh, a feisty female servant! A visiting cad of a lord! Might there be a ravishing on offer? - he has decided it is appalling that his wife cannot inherit the Earldom of Kitchener. He barked to the Radio Times: "If you’re asking me if I find it ridiculous that in 2011, a perfectly sentient adult woman has no rights of inheritance whatsoever when it comes to a hereditary title, I think it’s outrageous, actually. Either you’ve got to get rid of the system or you’ve got to let women into it. I don’t think you can keep it as 'men only'." He added: "The point is not whether or not you approve of hereditary titles, but given the fact they do exist, the exclusion of women from them under English law is absolutely bizarre." And like all poshos, there's a tiny bit of the peasant inside me which tugs its forelock and agrees with him. Of course a woman should inherit a title as well as any man. All our greatest rulers have been queens, although I wouldn't like Elton John to go getting ideas. Kate and Wills' firstborn, if she doesn't have to carry it in a box and it is a girl, should be the heir apparent. The aristocracy are too much fun to get rid off but why not modernise them a bit? Yet if you start down that road it only leads you to one, inevitable conclusion. It's not only wrong only boys can inherit, it's daft only the first-born can. It's insane anyone gets to sit in the second House of Parliament voting on legislation simply because their great-great-great-great-great grandpa once played dice with a king. It's beyond mental the head of state is decided in a random genetic lottery among people who haven't done anything to add to the sum of human achievement for several hundred years, can't marry a Catholic and don't sit an exam first. So working class logic leads me to point out to Julian Fellowes that if he wants to apply equality legislation to the aristocracy and start making it a merit-based system then a) he can afford to launch the court case and b) it would inevitably lead to Prince Philip's extinction. And none of us want that. It might be interesting to see it argued about in court, though. 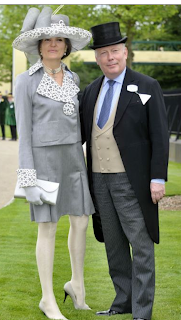 If nothing else we might find out if all aristocratic wives are actually just shop dummies from the neck down. Samantha Cameron, explained at last.